This is a map outling Amanda's house off the Tipperary Roundabout in relation to Limerick City. Drawn by Amanda as instructions for me to drive into Limerick city from her house. It worked well. 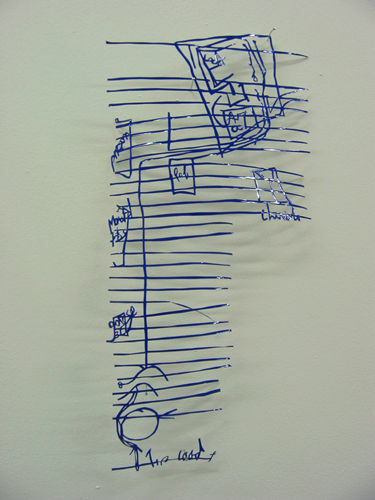 Medium: Cut out from blue vinyl plastic, hung on dressmakers pins 1 cm proud of wall.